ATJ8747 / ATJ9053 LAMP. Nuffield and Leyland front side lamp assembly. 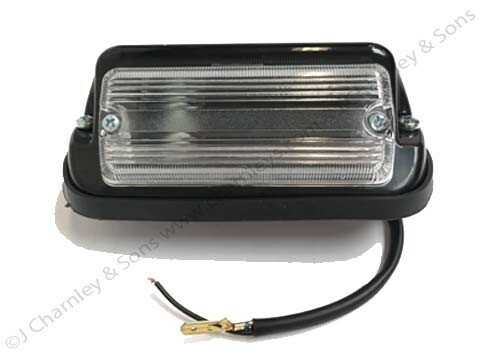 This side light unit comes complete with the clear lens 37H2167 and is suitable for Nuffield and Leyland cabless tractors.